With everything going on in my own life and the country at large, I decided to re-read The Heart and the Bottle by Oliver Jeffers. This is a picture book about a little girl who loses someone important to her. And it hurts so much that she puts her heart in a bottle. But you can’t lock your heart away without losing a huge part of who you are. And once you’ve lost that part, you may not be able to get it back on your own. Luckily, there is another little girl who can help her out. This book has been personally important to me. It came out in March of 2010. My Dad got diagnosed with cancer in February of that year. The Sunday before the book actually came out I was looking at it in the back room of the store and it was exactly what I needed. In the face of my Dad’s mortality, I had to remember not to protect myself so much that I lost myself. So, he gave me that picture. It’s in color. It’s on my wrist. And I got it two hours after I’d seen the image for the first time. It’s been six and a half years. And I’ve never regretted it, but I’ve definitely needed to refer to it more than once. A friend is gone. And I need to remember that I can’t avoid other people just to avoid feeling like this again. My country is not what I was hoping it was. But I need to remember that you have to get up and keep going. This doesn’t mean don’t practices self-care. Absolutely do! Protect yourself. But don’t protect yourself so much that you end up damaging yourself. And remember, sometimes the best stories are in the smallest books. While I was agonizing over election results early this morning a friend decided to take her life. I don’t know what brought her to that point, and I may never know. We had never met in person. But she was a friend. She will be missed. There are many people coping with that today. Many who are much more qualified than I am to speak about her. So I will speak to you. I don’t care about the things that divide us all right now. You matter. You would be missed. If you are having a hard time, please, reach out. Reach out to a hotline, another friend, to me. To Write Love On Her Arms – To Write Love on Her Arms is a nonprofit movement dedicated to presenting hope and finding help for people struggling with depression, addiction, self-injury, and suicide. TWLOHA exists to encourage, inform, inspire, and invest directly into treatment and recovery. The Trevor Project is focused on preventing suicide in the LGBTQ+ community. In addition to their 24/7 hotline, they also have texting and online chat that have slightly reduced hours. Trans Lifeline is aimed at specifically at the transgender community. All of the people who work there identify as transgender. The Veterans Crisis Hotline is a resource for veterans and their families. They also have a 24/7 chat option. This is a text only hotline that is available 24/7 in case you feel you cannot talk on the phone to someone. Thanks to Bustle.com for the list. It’s Election Day here in the US. I’ve voted. I hope you have too. And that’s all I’m saying about that. The other exciting thing that happened today was that my boxes from DK arrived! Last year, I participated in an advisory panel of librarians and booksellers. 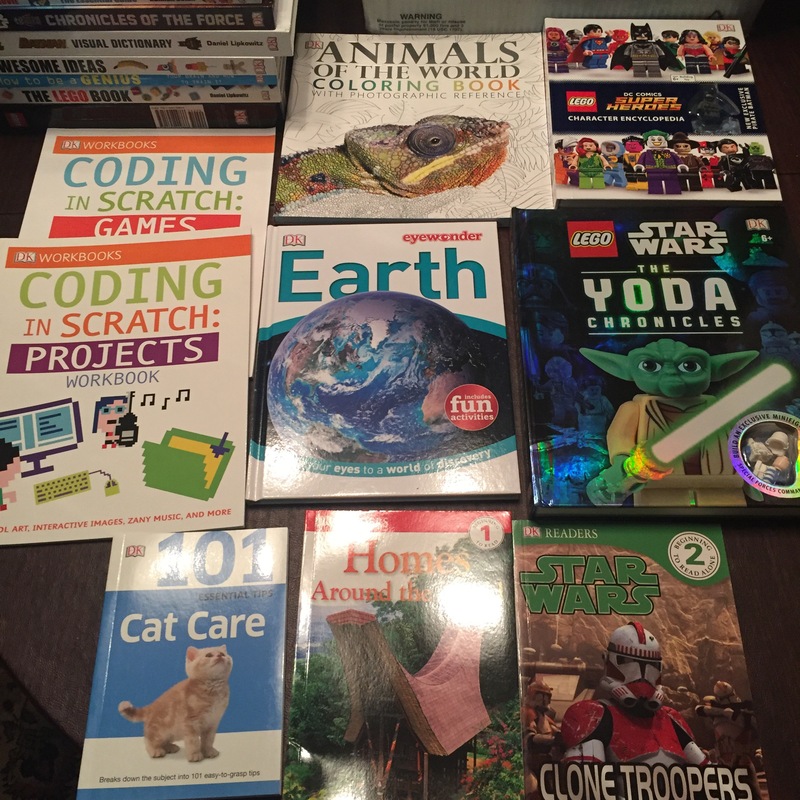 And as a thank you, we all got books for our libraries! 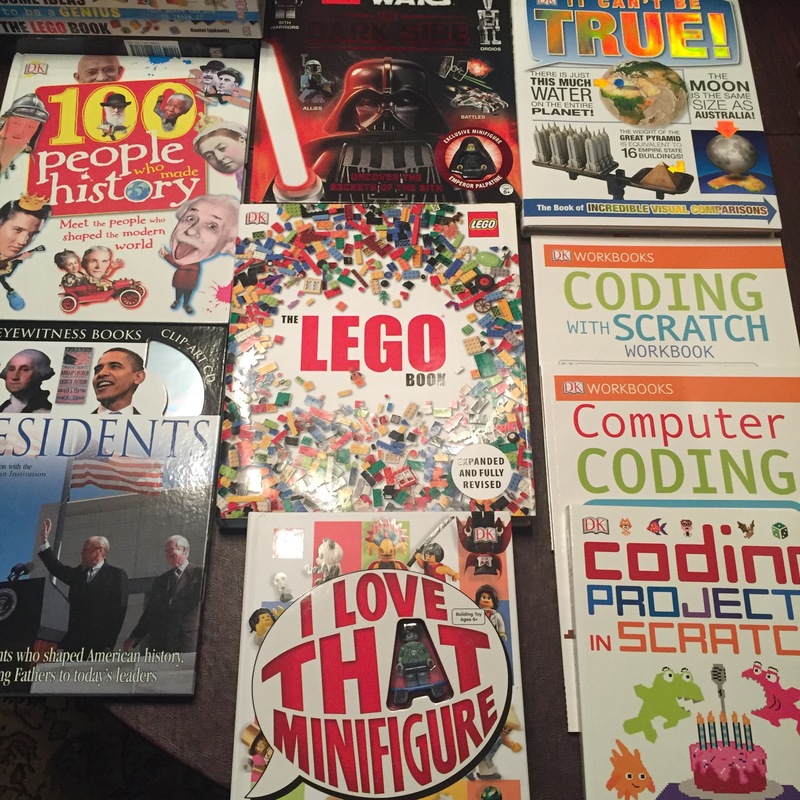 So, I have a mega-haul of new books to take into the CMS library on Thursday and it’s awesome! 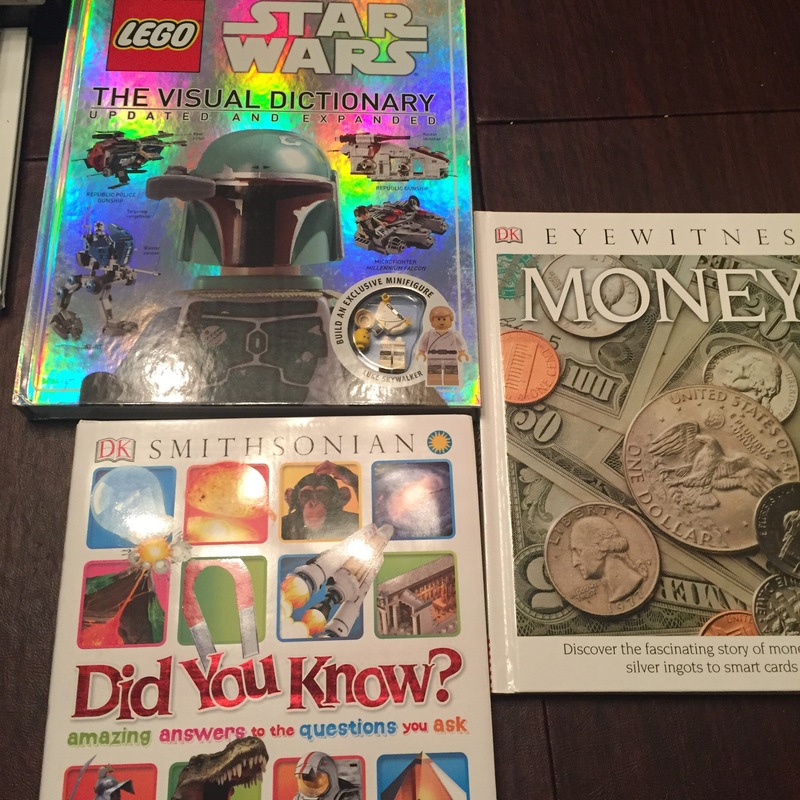 DK has amazing non-fiction books as well as all your Star Wars needs. So, I hope I got a good selection the kids will like. One of my favorite books is Tam Lin by Pamela Dean. Not only is this book based on a ballad I really like, but it’s also an amazing fantasy novel that is simply stuffed with references to other books. The basic story centers around Janet, a student at Blackstock College in Minnesota in the early 1970’s. She and her roommates get involved with an unusual melange of characters from the drama and classics departments. They trade witty banter and Shakespeare quotes back and forth and it all seems like a fairly typical college coming of age story. However, things are not quite what they seem. Something is rotten in the Classics Department and it all seems to be focused on the unbelievably beautiful Thomas Lane. The book follows the major beats of the ballad faithfully, but transcends into something quite special. As I mentioned, Dean has packed huge numbers of references to other books, plays, and texts into this book. And when I was in college I set out to record them all. And thus was the Annotated Tam Lin born. It was handwritten and illustrated with pictures cut out of magazines, comics, and trading cards. I spent most of New Year’s Eve 1999 writing out quotes in glittery gel pen. Alas, the green cloth bound sketchbook that I used has gone the way of all flesh and vanished in one of my many, many moves. So, I’m now recreating it online. At the moment, it’s housed over on Tumblr at the Annotated Tam Lin. I’m hoping once I have everything collected again we can get it hosted at Tam Lin Balladry, which is an awesome site if you’re at all interested in the story of Tam Lin. Just to give you an idea, in Chapter 1 alone, I had 24 references to track down. This book could double as a liberal arts degree if you actually read all the works referenced. As fast as she can hie. Says, Lady, thou’s pu nae mae. And why breaks thou the wand? The flower among them a’. As green as onie glass. But we’ll be blamed a’. Some ill death may ye die! Shall get the bairn’s name. For nae lord that ye hae. Says, Lady, thou pu’s nae mae. That wae did me betide. In yon green hill do dwell. Pu ye his rider down. They gie me that renown. Nae doubt I will be there. I am your bairn’s father. And ye shall love your child. I’ll do you nae harm. O throw me in with speed. To Miles Cross she did gae. And pu’d the rider down. 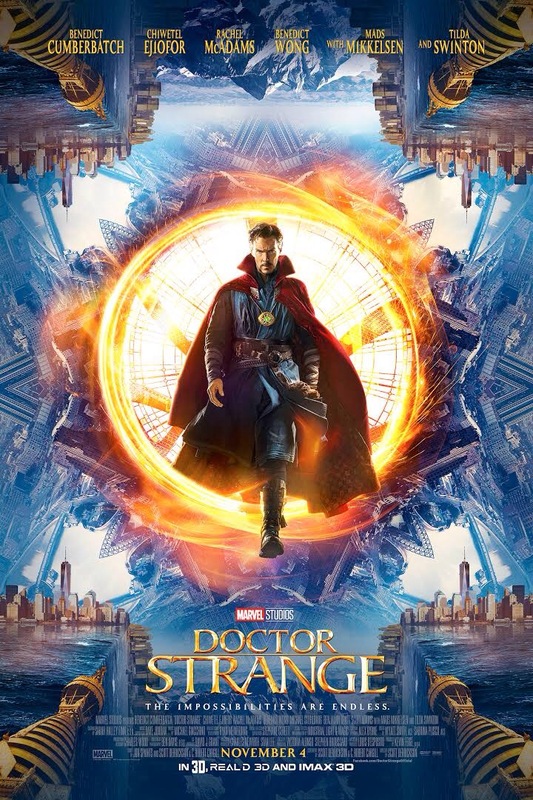 So, Saturday I went to see Doctor Strange at the IMAX theater in Tuscaloosa. I met up with one of my friends for lunch and then the movie. Non-spoilery impressions – It was fun. It’s definitely in the lower tier of Marvel movies for me, but it’s still a fun Marvel movie, which puts it above most movies that aren’t Star Wars, The Princess Bride, or Lord of the Rings. The music was… there? I guess. I have absolutely no memory of it outside of the four licensed songs. The score made absolutely no impression on me either positively or negatively. The special effects are beautiful! I did see the film in IMAX 3D, which probably enhanced the effects, but the 3D wasn’t too obtrusive, which I prefer. I did have one small problem, which could have been the theater, the 3D glasses, or the fact that I wear glasses too, but anything outside of the center of my vision was blurry. It wasn’t unbearable, but it was slightly distracting. SPOILERS MAY OCCUR AFTER THIS POINT!!!! Ok, let’s talk about casting. Eh. He was ok. I know this might draw down wrath upon me, but I’m not a huge fan of his. I thought he did great as Smaug. I don’t really watch Sherlock. Here, I thought he was fine, but he didn’t shine. He’s playing a blindingly intelligent, but cold, and arrogant surgeon. And it’s hard not to compare him to Robert Downey Jr.’s Tony Stark. He’s just… not on the same level in any of the categories. Tony is smarter in his own way. He’s more intelligent. And he’s faster with the funny. Doctor Strange is fine, but I wouldn’t want to hang out with him. This is the casting call I was really hesitant about. On the one hand, I love that a woman got cast in a traditionally male role. On the other hand, a white woman got cast in a role that in the comics is filled by a Nepalese man. So, that’s problematic. But it would also be easy to fall into the “inscrutable Asian mentor” stereotype too. Which would also be problematic. I think Tilda Swinton did an amazing job in the role, but I never thought she would be less than stunning. She’s an amazing actress. At the end of the day, once I got into the movie, I wasn’t hugely upset about it. They’ve changed the character so that she’s a Celtic sorceress who became the Sorcerer Supreme after the previous Sorcerer Supreme fell. In the end, I was ok with it, but I can only speak for myself. If someone else is bothered, I totally see where they’re coming from. He was very good. The role is slightly underwritten, but he fills it really well. He’s creepy and charismatic without tipping over into melodrama. I don’t now anything about his character from the comics, so I don’t know anything more than I got in the movie, but that was enough. He has several acolytes that follow him around, but he’s absolutely the focus when he’s onscreen. Ok, he looks great. His role is to act as a foil to the Ancient One and then Strange. He’s always good in his parts, but he’s playing a very rigid character here. So I don’t have too much to say about him. His fight scenes are pretty cool though. SPOILER – I look forward to seeing where the character goes next. The Cloak of Levitation played by… The Cloak of Levitation! Best. Character. Ever. I would like a plushie of it now. -having her as a theoretical love interest was just kind of boring. It was also odd that she seemed to be able to perceive portions of the mystical shenanigans going on that other people were oblivious to. Why? That was never explained. And I don’t know if she’ll be back in later films or not. She wasn’t nearly as concrete as Pepper or Jane or Peggy. But, we’ll see, I suppose. If you’re interested then I recommend going and seeing it. Go to a 3D show if they work for you. It’s very pretty! I’m taking a slack day today because I went to see DOCTOR STRANGE and now I’m excite , but sleepy. So have a cool poster and I’ll put up a review tomorrow. I’m snagging today’s idea from my friend Clair. Clair is a professional writer. She has good ideas. I have… insomnia? Seriously though, this summer and fall have been full of stress and health issues and surprises at work and it’s all led to me getting very unfocused. So, I thought this might be a good time to stop and reassess what I’m looking for in the world. Years ago now, Emma Newman decided to crowd fund some wishes. Which was possibly the best idea anyone has ever had in the history of the internet. Or, at least it was for me. Sara is wishing for a piece of jewellery made by her to be worn by someone at the Hugo’s or Academy Awards, to finish her novel and get it critiqued by a professional in the industry and to be on the SF Squeecast (I can definitely relate to that desire). Mary Robinette Kowal actually helped me out with two of those wishes. She wore a piece of mine to the Hugo’s at which she and her co-hosts won for their podcast Writing Excuses. Later, at the Writing Excuses Retreat I got to fill in for Mary during a Writing Excuses episode. It wasn’t the SFSqueecast, but it was super, duper awesome and definitely filled out one of my wishes. I’ve also finished a novel since then and have had an agent look it over. She ultimately passed on it, but it’s much further than I really ever thought I’d get. So, check mark for that wish too. In the meantime, I’ve found other podcasts I love just as much, most notably Kevin & Ursula Eat Cheap and What the Folklore. I’d love to guest on either of those, but I doubt that’s likely. But, it’s a bucket list, so I might as well put one or both on it. I’m still hoping to get published someday. So, I’ll put that up as a bucket list item. There are several publications I’d love to get work in, but first I have to produce something I feel is worth submitting. I’m… working on that. Last, I’d like to get my jewelry business to a point where it’s self sufficient. I don’t necessarily want to quit my jobs and go full time, but I’d like to turn a steady, if small profit on it. So, I need to get a business plan for that. It’s not quite as easy as casting my wishes out into the ether. But, that’s ok. So, what is on your bucket list these days?